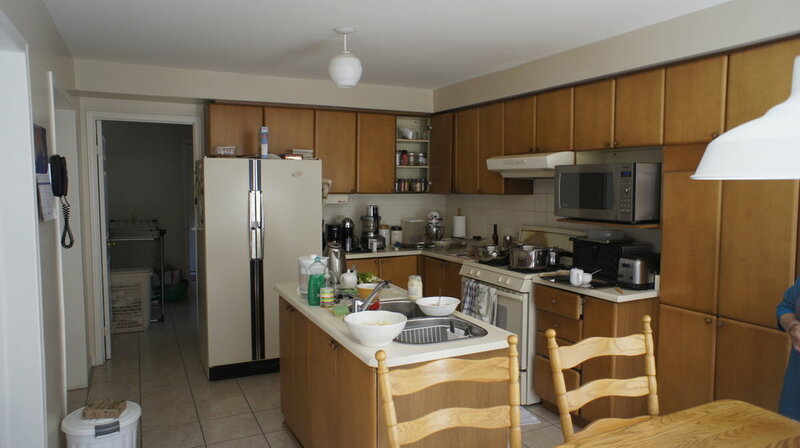 The original cramped 70s style kitchen was renovated to create a space for cooking and entertaining. 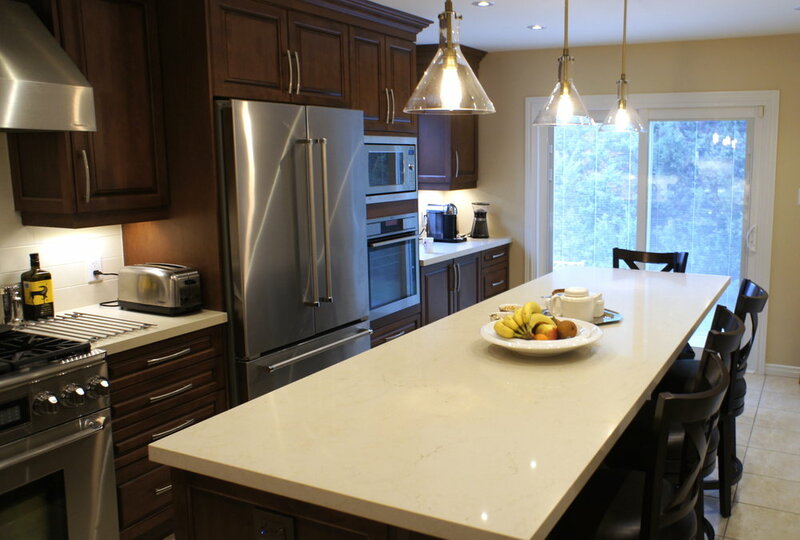 The tiny kitchen island was replaced with a 12’ sparkling easy-care quartz countertop that not only acts as fantastic serving area but also as storage for small appliances and a wine cooler. 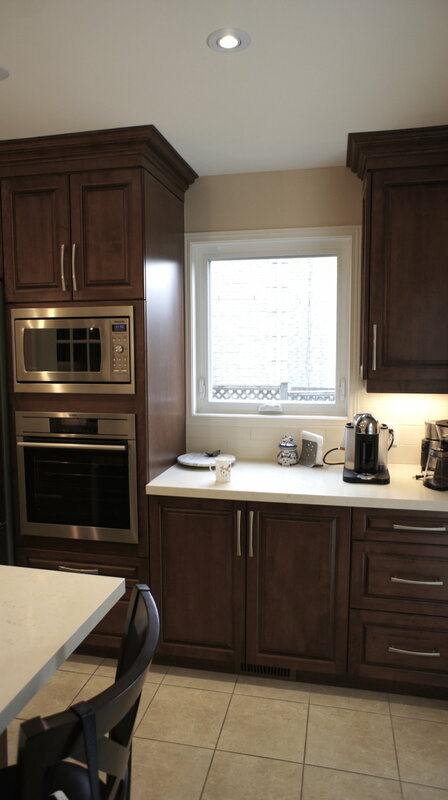 Two stainless steel ovens (one a range, the other wall oven) were added to the kitchen to make it easy to prepare any meal, no matter if you are entertaining two guests or a crowd. 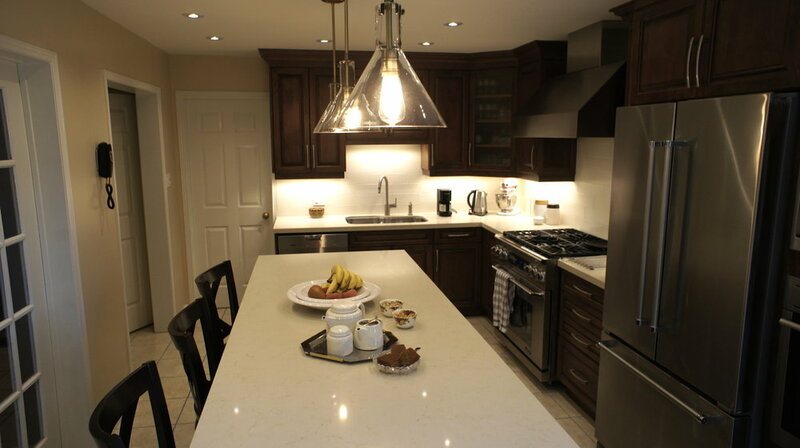 This kitchen is not only beautiful it also has many practical features incorporated into its design. A robust waste system was installed. To the right of the sink is a waste and bio disposal unit and under the sink is a full size pull out drawer that allows you to quickly tuck away the mess.